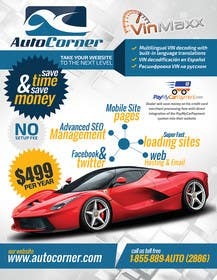 We are a web development company that specializes in web sites for used car dealerships. Attached you will find our current flyer (made by a Freelancer) from about a year back and we think it was wonderful, just time for an update. Feel free to borrow from some of the design elements in the PSD files, but keep in mind we want something NEW and refreshing. I do not want any potential customers that have seen our old flyers one to say "I've already seen this" and trash it before looking at what is new. The winning design will have both a front and back design and MUST conform to the EXACT layout size as in the current PSDs as this is what is required by my print company. The safest bet is to use the current PSDs and just clear out the unneeded layers to begin your design. A few few key items we want to make sure we emphasize in the new design. NO Setup fees (current flyer shows a $29 setup fee, this is no longer). 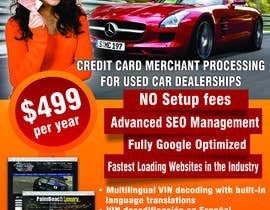 Additionally I want you to mention our online car payment processing system "[login to view URL]". I have included two versions of the [login to view URL] logo, use whichever one fits best in your design. Include a few bullet items near it saying that the dealer will save money on his credit card merchant processing fees with direct integration of the PayMyCarPayment payment system into their website. Kindly check and leave feedback for Entry #60 in your convenience. Thanks. I am working on it. Please wait until the contest ends. I will upload it tonight. Hello Sir, i will be posting my entries for this contest later on today, Best Regards. Time Waste . Contest Holder not Given any answer . Why He reject the design . If he give any idea then we try to make change according him . gauravghosh1990 you gave the most atrocious designs it was not even worth wasting time giving any feedback. I have been making comments on other designs that I see have promise. You will note that you (gauravghosh1990) have zero feedback and obviously no one has taken a liking to your designs. I on the other hand have perfect feedback on all contests I have posted on here. I will be entering my design soon. Dear CH, Please wait for my entry..it will be coming later today..
STEVEN Sir i have made a flyer Design . Please Check Entry # no . 11 . Thanks . Dear sir can would you accept cdr or illustrator file? I am sorry I need it to be a PSD, so that I can make any text changes as needed in the future. Only post actual submissions not graphics saying "I can do it". Those will be rejected, reported, and I will ignore any actual submissions you do after that fact. Seriously, don't post until you have something to show me. Can you please seal the contest. Hi, do you want to keep all the actual text except "$29 setup free" or just what's mentioned in the brief? Im interested in this project, but probably will submit by the end of the contest time, hope you will wait till the last minute to choose the winner? thanks! P.S. : request- can you please SEAL the contest? 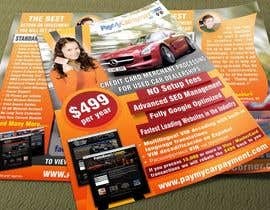 I have been able to download the back page of the flyer but cannot seem to access the front page. It gives an error of not found. Hi would you mind sealing this for design submission? What does "$499" Per year signifies? Sorry the old flyer was too large to post on Freelancer (since it has all the layers intact). I am currently uploading it to my webserver and will have available for oyu in a few mins. Hi there PH, can you attach your old flyer? And make the contest blind? What is the specific size of your flyer? Thank you very much.